The next generation is here! 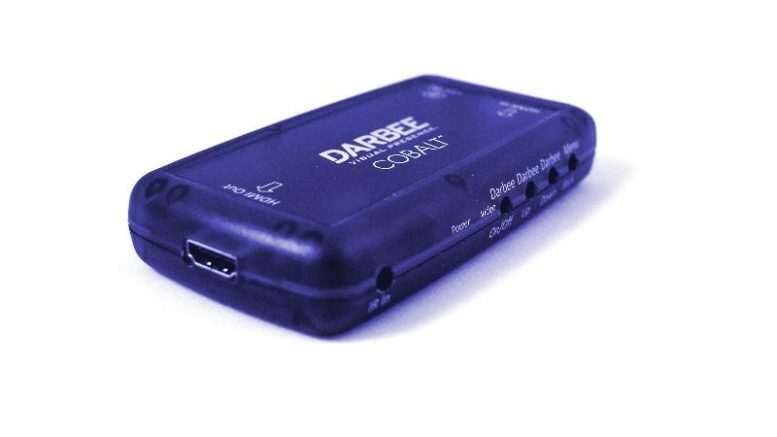 We have heard that DarbeeVision, maker of the popular Darblet device, are planning on showing their Cobalt device at CES 2013. The Cobalt will be a lower-end version of the Darblet, providing enhancement to HDMI 1.3-compliant signals only. That means that 3D images will not be enhanced. On the upside, there’s expected to be a lower price point which will translate out to a lot more appeal to the general public. The Cobalt will work with any HDMI device and provide the same sort of enhancement that the original Darblet did. That means that everything will look better, more dimensional and more interesting, with one push of a button. We predict great success for the Cobalt, because 3D at home has just not been the success that many people had hoped, so there isn’t as much need for enhancement. Prices for the Cobalt have yet to be announced but we’re hoping that, just like the Darblet, we can be first on the scene with a “hands-on” review and first to bring it to you at Solid Signal!